I know some who know me only by what I write here might find this all surprising. Or even laughable. Those who know me off this blog might find it surprising. But it’s true. And why is it? The people in the movies are nice. Even the bad guys have redemption. Yes, a completely unrealistic perception of the current world we live in, but it provides nice escapism. It’s nice to see communities come together even in a fictional way. They love local traditions like fairs, festivals, and carnivals and the Hallmark ones look like so much fun! Even their fictional bake sales look good! And in Hallmark movies people fight to save small independent businesses like local bookstores, so for this bookworm, what’s not to love about that? With regard to the world we live in today, definitely too much social media. And yes, I am as guilty of it as the next person. I love when I get criticized for posting something that isn’t bubbly and sweet, because ummm I don’t always feel bubbly and sweet. Plus I have to wonder if the seemingly perfect lives and families I see portrayed across social media very day are that? How can they be so perfect? Are they really not so perfect? I now make an effort to try to be OFF of social media at times. Hallmark movies show us the little niceties in life that people like to forget. Like take this for example: I received a newsletter recently from an organization I belong to and it showed their 2019 schedule including garden tours and visits. They had asked me in the fall to tour my garden for potential inclusion and then never followed up after thanking me for taking the time to show them around. I guess I now know why I never heard a peep again, and truthfully it is fine that they did not choose my garden (it’s an ungodly amount of work to prepare especially if you don’t have a minion squad), but how about a follow-up note or a call to say they went in a different direction but thanks for playing along? And that is not the only group which toured my garden but never followed up. My own high school alma mater sent employees from the alumni office to tour my garden in the fall but no one from the committee ever followed up. It’s like they are too important for the actual details of planning their garden tour event. 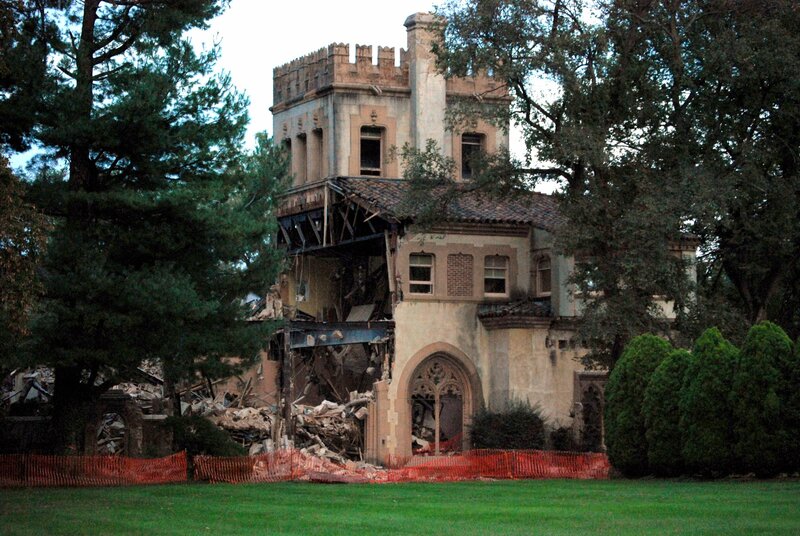 With regard to ths event (like many others) , I know it depends geographically where they are going and I am in Chester County, but I also know realistically a cottage and woodland garden in Chester County would never hold much interest for most of today’s Main Line private school mommies, but still. Manners, ladies. Manners. Is it so bloody hard to be polite and say thank you? Now sadly, this behavior seems somewhat pervasive because I have two friends with two lovely businesses who received similar treatment at the hands of their annual holiday shops event committee members. Imagine being an alumni with a high end accessories and jewelry business that by rights should fit nicely into their holiday shops mix and submitting your information for consideration multiple years and one year someone was overtly rude to you who was a committee member and the other years you were just completely blown off without even an acknowledgement? Or imagine being an alumni with another business who was also declined as to type to find out said business type appeared probably because they were somebody’s buddy? We are all grown-ups here, right? Many of our mothers served on committees which were predescessors to today’s events and they would not have dreamed of being rude to alumni or anyone for starters, and would have handled turn downs of businesses for things like the holiday shops well…differently. How differently? A decline would have been so polite and handled with such finesse that the recipients would not have felt there was a rejection. Whether by handwritten note or phone call thanking someone for their interest, a simple nicety goes a long way. Everyone goes away happy. And events like garden tours? You would have had committee members who were active in their garden clubs, and more. And they never would have sent staff to preview anyone’s garden, they would have gone personally – after all it was supposed to be their event, their volunteerism for the school, right? And those who were interested in participating who for whatever reason weren’t chosen? It would be a nice little outreach again thanking them for being interested and hoping they would subscribe to the tour anyway, etc. But the truth of the matter in my opinion is most of the parents on these committees today don’t care about the alumni, or their feelings. Ironically of course, some day their children will be alumni, but hey whatever floats their boat. Having attended these events to try to support my alma mater I also haven’t been able to help but notice how these parents volunteering at these events often appear as cliquey as their kids. Now how does this fit into my whole I like watching Hallmark movies of it all? Simple. When these events are portrayed on Hallmark movies even if there is event committee drama, everyone is nice to everyone else. And they love when fictional alumni take the time to be interested. And manners. Old fashioned manners. Hallmark movies can teach us the life lesson of it is just as easy to be pleasant as it is to be a jerk. That it is as easy to be inclusive and takes far less negative energy to be rudely exclusive. Hallmark movies are not the real world. But they are a nice place to visit. Sadly they seem to be representative of times gone by. Now I make no secret of the fall house tour events I hold dear in Chester County which are the Tredyffrin Historic Preservation Trust House Tour (I am a sponsor and this year it’s Saturday September 29th) and the tour that started it all for me many moons ago (used to go with my parents long before calling Chester County home) — Chester County Day! Today I am writing about Chester County Day which began in 1936. I love this event so much, I even have the following books: Forty Years of Days, Chester County & Its Day, and Barns of Chester County Pennsylvania which were all written by a Chester County treasure named Berenice M. Ball. The Women’s Auxiliary to Chester County Hospital has been supporting the hospital for 125 years through numerous fundraising activities and events. 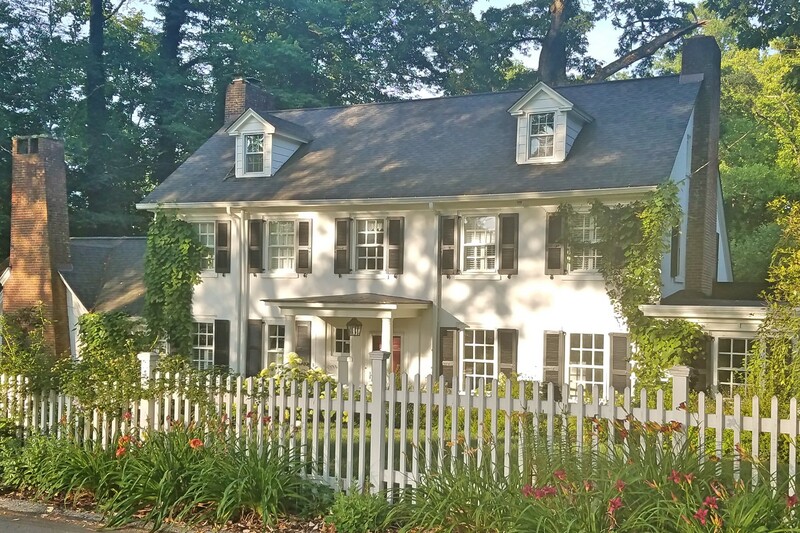 One of the beloved fundraisers that has stood the test of time is Chester County Day, the longest running house tour in the United States. This year’s tour will be held Saturday, October 6, 2018 from 10 am to 5 pm. Since its founding in 1936, “The Day,” as it is affectionately called, has raised more than $5 million for the hospital, earning $132,000 last year alone. 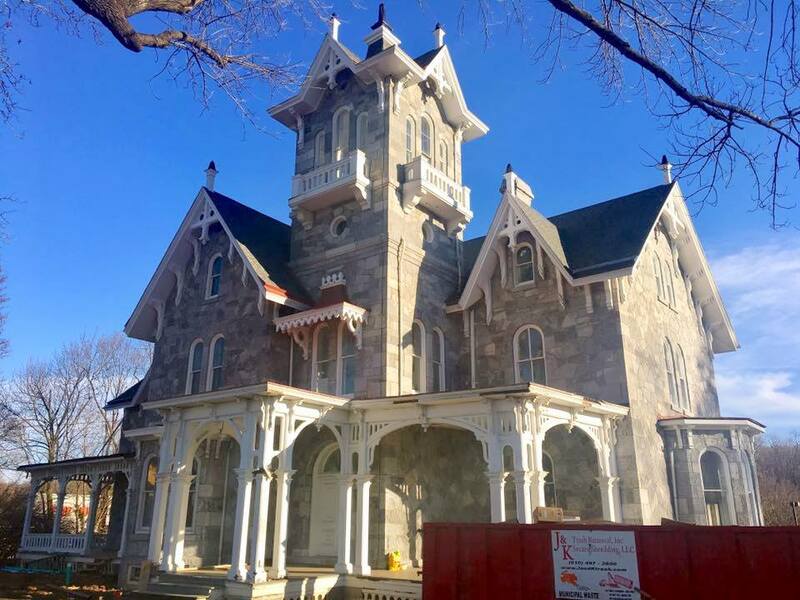 This year The Day includes tours of 16 homes and six public structures/historic sites in the northeast quadrant, including Exton, Frazer, Chester Springs, Kimberton, and Phoenixville. The Day will kick off with the pageantry and excitement of a traditional fox hunt. The hunt will set off promptly at 9 am from Birchrunville. At 10 am guests can begin their tour of this year’s selected properties. The 2018 tour celebrates the traditional, distinctive architecture of Chester County with some twists. 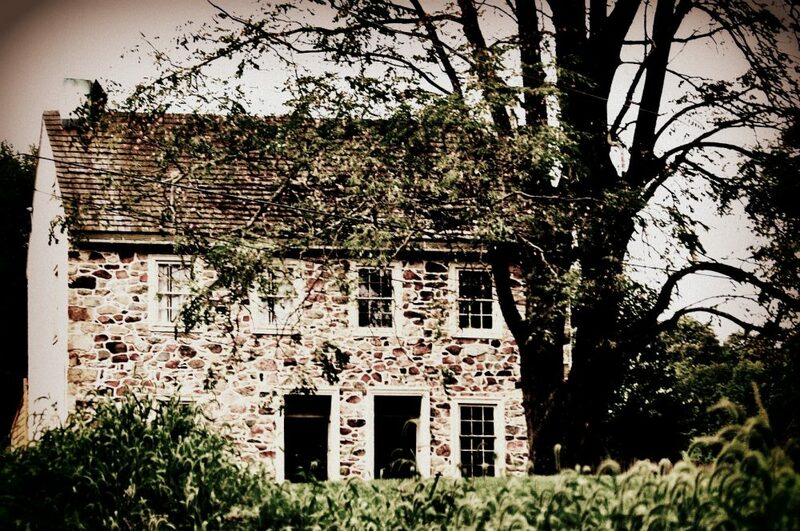 There is a beautifully restored home in West Vincent Township which is believed to have been deeded to a Revolutionary War soldier in payment for his service. Also on the tour is a meticulously kept stone home with great antiques, rugs and a lovingly-cared for garden. 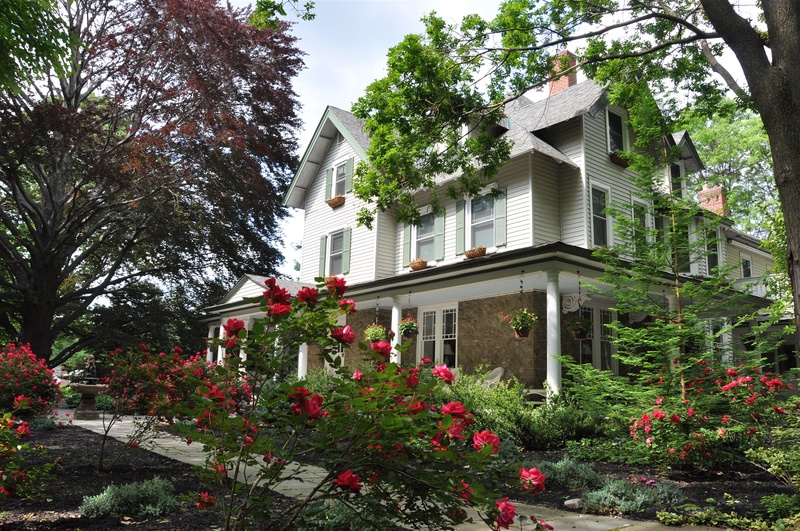 A spectacularly restored Queen Ann-style home is one of the stops in West Whiteland Township. The home was designed and built in 1851 by Andrew Jackson Downing, a prominent advocate of the Gothic Revival in the United States. The fountains, gardens, mahogany-lined rooms and diamond lead-paned windows of this house are remarkable. When the owner first purchased this property, oil had seeped into the basement and water leaked from the attic down to the first floor. The renovation of the home has returned it to its original, unforgettable state. Around the corner is a pristine stone R. Brognard Okie house set on a hill with a beautiful stone-banked garage. Loch Aerie pre-renovation. My photo. 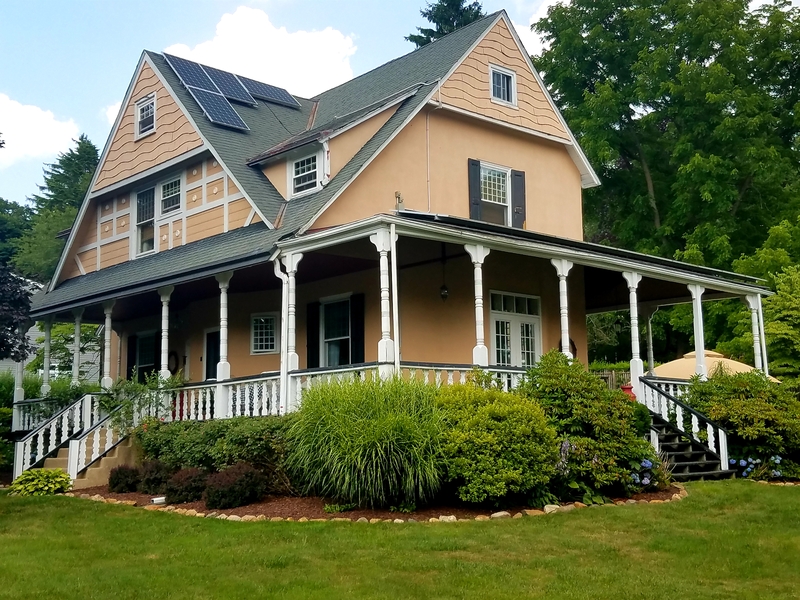 Attendees will also have the opportunity to tour a nearly 200-year-old farmhouse/manor house in Chester Springs that has been lovingly repurposed as a business office. The structure has retained much of its original woodwork, pocket doors, cabinetry, stair railings, fireplaces and a beautiful English knot garden. Tour-goers can also explore the largest three-story bank barn in the county located in Charlestown Township. The home boasts hand-hewn, scored beams. Phoenixville is represented by a restored farmhouse with a pool house that was once the residence of farmhands. Eighteenth and 20th century homes on the grounds of the former Pickering Hunt are optional next stops for attendees. Two houses will be open in Rapps Corner, with the convenience of parking at one home to tour both. Each of the stone houses has been maintained and updated in very individual styles, while respecting the historic bones of each building. St. Peter’s Lutheran Church in Chester Springs will serve as a lunch stop, where pre-ordered boxed lunches by Arianna’s Gourmet Café will be available. The Day offers two ticket options, a regular priced $50 ticket or a $100 VIP ticket. 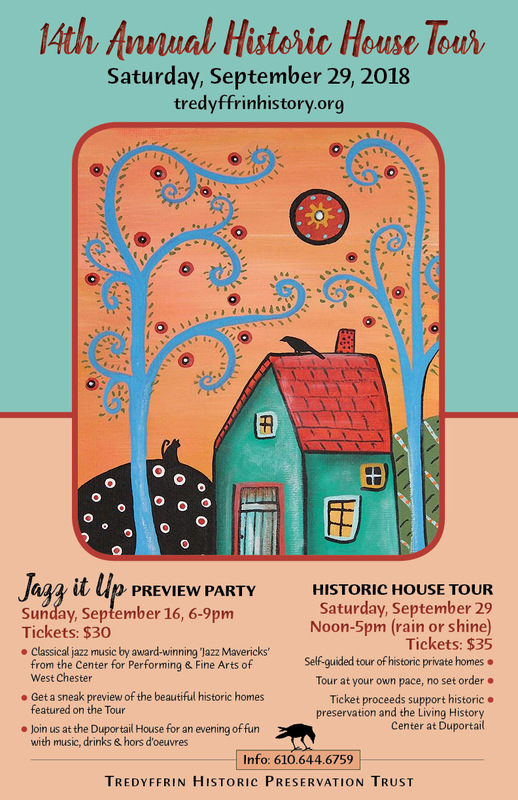 The VIP package includes an invitation to the preview party in September, as well as a gourmet boxed lunch provided by Montesano Bros Italian Market & Catering at an exclusive house tour open only to VIP ticket holders. 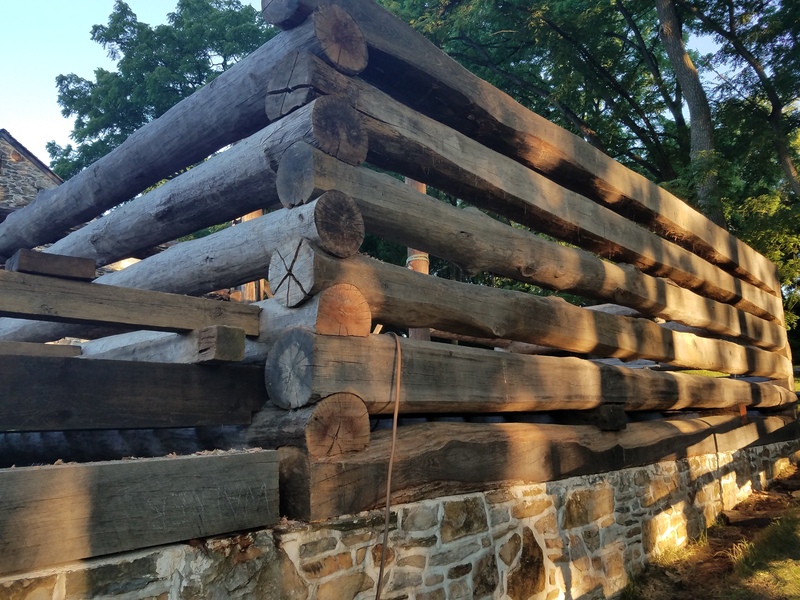 With a GPS and a Chester County Day map (that you will receive when you purchase your ticket) the beautiful architecture and bucolic roads of the county are yours to explore! Tickets: On sale from July 1, 2018 online; September 4th by mail or at the satellite locations listed on their website. ALSO IMPORTANT TO NOTE: I am writing this post because I want to and because I attend this event. I purchase my own tickets and am a grateful supporter of The Women’s Auxiliary to Chester County Hospital.